PET PALS: If people are out of the house working eight to 10 hours a day, their dog will benefit from socialization. Its more than someone just coming in and walking the dog. 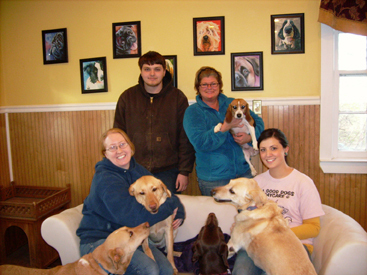 The animal will have a full day of exercise, play, and socialization and the benefit of canine and human companionship. Carole Lini (second row, right), owner of All Good Dogs Day Care, is shown with staff members: back row, Keith Meseroll; front, Dana Christensen and Nicole Rubino, and a group of very contented customers. DINING OUT: Weve had a great response. We had 100 people the first Friday night we were open. We were brand new and went right into the holidays, which was a very busy time for us. 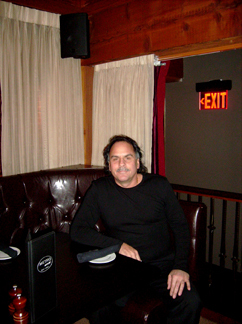 Now, we already have lots of regulars, including some who come three times a week. Tony Vitella, owner of Metro North, couldnt be happier with the success of his new restaurant.